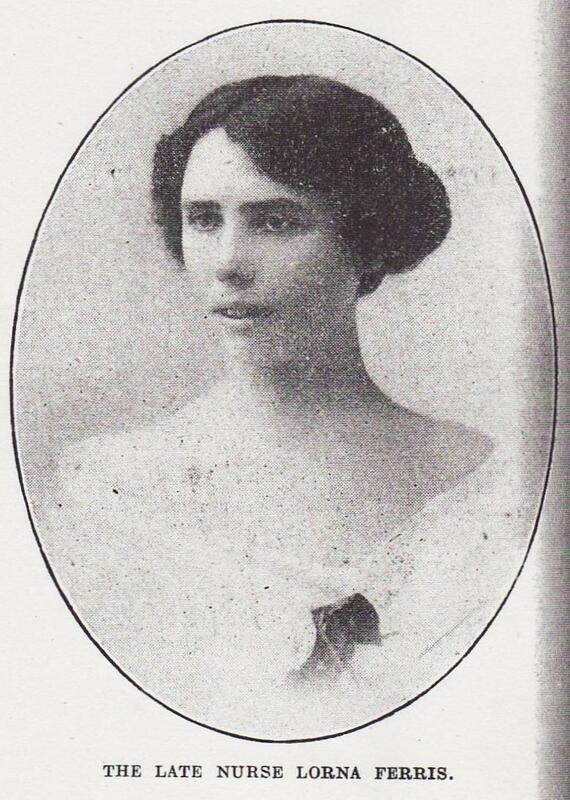 Lorna was born in Newbury in late 1887 or early 1888 the second child of Henry Ferris and his wife Amelia (née Rosier). She trained as a nurse at the Dreadnought Seaman's Hospital, Greenwich before spending a year at the Samaritan Free Hospital for Women in Marylebone Road, London. In April, 1915, she travelled to Serbia with Mabel Stobart, to set up a tented hospital camp at a disused racecourse outside Kragujevac, which was then hardly more than a town. She made a strong impression on her colleagues, who recorded much about her and her character. She was a “strong, healthy girl of 25,” a “good nurse with a bright, cheerful manner” who was due to be married just two months later. But what impressed her colleagues most was her facility for languages. “She knew Serbian better than anyone in the camp and could sing the Serbian anthem,” recalled one. “She, almost alone of all the nurses, had not been content with the ‘Dobro’ dumb show language, but had troubled to learn Serbian, and had made excellent progress," wrote Mabel Stobart, who headed the Unit. She fell ill with typhoid and met her illness with characteristic good cheer. “I went to have a peep at all our poor invalids,” wrote the Unit’s head cook, Monica Stanley. “When the poor girl saw me she looked up and smiled and waved to me. I little thought it would be the last time I should see her. Nurse Ferris and I always had little jokes together when she came to meals; she was beloved by all in her ward.” She died on 4 July 1915. She was the first and youngest of Mabel Stobart's volunteers to die in Serbia. The sad intelligence has been received this week of the death of Miss Lorna Ferris, daughter of Mr and Mrs Henry Ferris, of London road, who volunteered as a nurse in Serbia. Particulars are not yet to hand as to the cause of death, but it is feared that she has fallen a victim to one of the terrible diseases decimating that country. The father was formerly colour-sergeant of the Newbury Volunteers, and on the outbreak of war placed his services at disposal. He went with the Berks Territorials into training, but the authorities failed to find any position in which he could serve his country. Newbury Weekly News, 29 July 1915. The church was arranged on July 5, according to the custom here, with a candle surrounded by flowers in the midst under the dome. The hearse was preceded by the Crown Prince’s band, and was followed by the members of the Stobart Hospital in their uniforms, by two representatives of the Crown Prince, his Secretary and the Captain of his bodyguard, by three Serbian priests, the British, French and Russian military attaches, and by many doctors and nurses, Serbian, British, French and Russian, as well as by other civil and military officials, the British chaplain walking in his surplice behind the hearse and holding a taper according to the Serbian custom. The procession, thus composed, walked to the church, and thence, after that part of the Anglican Burial Service ordered by the rubric for use in church, had been said, it proceeded through the town to the cemetery, an hour’s march in all. Despite the precaution of vaccination before she reached Serbia, typhoid claimed another victim. 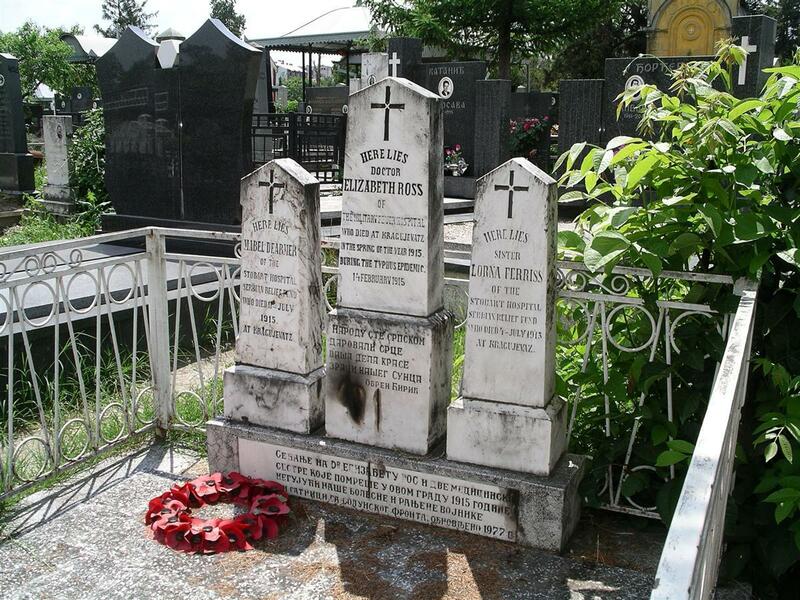 She is buried alongside two other women, Dr Elizabeth Ross and Mabel Dearmer (wife of Percy Dearmer) in Kragujevuc, all three died of disease in 1915. The three women's sacrifice for Serbia is still remembered at an annual ceremony held at the three graves every February 14th. The ceremony is a huge event for the town. It is attended by city dignitaries, Red Cross officials, ambassadors and representatives of the Serbian Army, along with many ordinary citizens. The Bishop of Šumadija (the eparchy or see administered from Kragujevac), along with two other Serbian Orthodox priests, hold the ceremony. 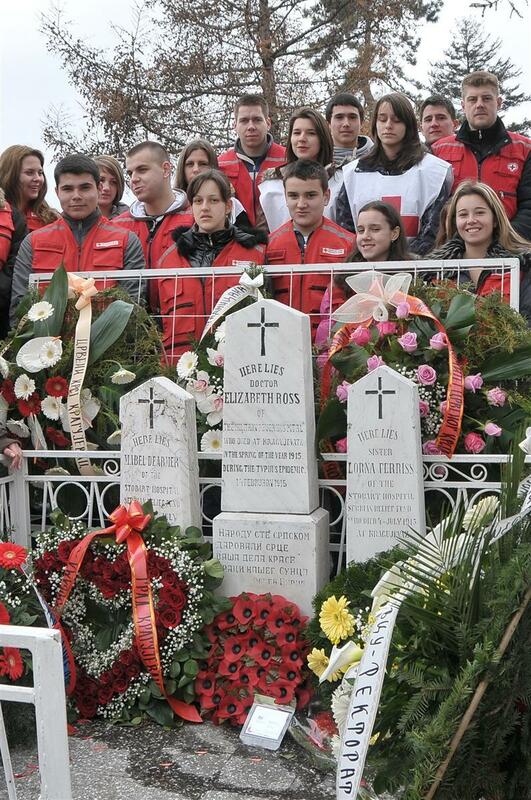 The group of headstones includes the epitaph: They gave their hearts to the people of Serbia. As the organisation she served with (the Serbian Relief Fund) has not been recognised as a British or Empire organisation, Lorna is not recorded in the Commonwealth War Graves Commission roll of honour. However, she is commemorated in York Minster on the Women's National Memorial Screen. 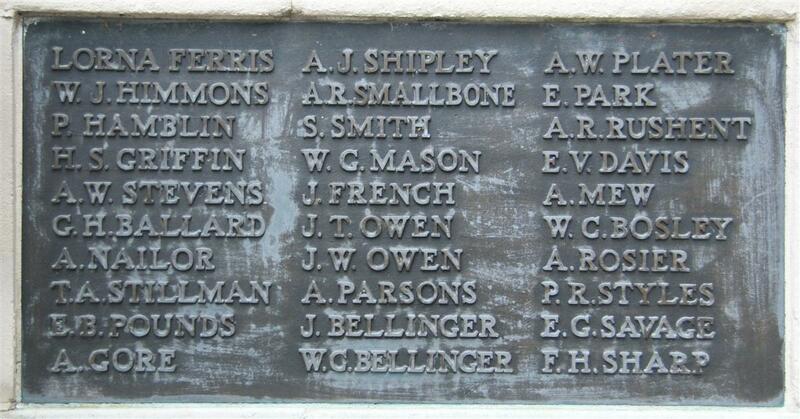 Locally she is remembered on the Newbury Town War Memorial. Her name is the first to appear on the memorial, in recognition that she was the only woman from Newbury to die while serving in the Great War. Thanks to Louise Miller for the photographs of Lorna and Kragujevac used in this story - and for her words, which I have shamelessly reused in places (I hasten to add that all errors are mine). To view a documentary on the nurses in Serbia during the Great War, featuring Louise Miller click here.